“Out of sight, out of mind” can get us in a lot of trouble. For most of us, our vehicle is our second-largest investment, so it would make sense that we want to keep it in good working order. Doing so requires things like changing the oil, inflating the tires, and keeping the car clean. If you know a bit more than average about cars, you may go as far as checking the fluid levels, replacing spark plugs and wires, and tuning up the engine. Those items are fairly easy to remember and keep track of. Even if you aren’t regularly under the hood, there are warning light on the dash that will let you know if something is wrong in these basic areas. But when was the last time you laid down on the ground to look underneath your car and inspect the condition of the universal joints? When was the last time you tested the O2 sensor or verified that your catalytic converter wasn’t clogged? Right. It’s been a while. These parts of your second-largest investment wear out and break down too. They’re just not as readily noticeable. They’re out of sight, and so, they’re out of mind. 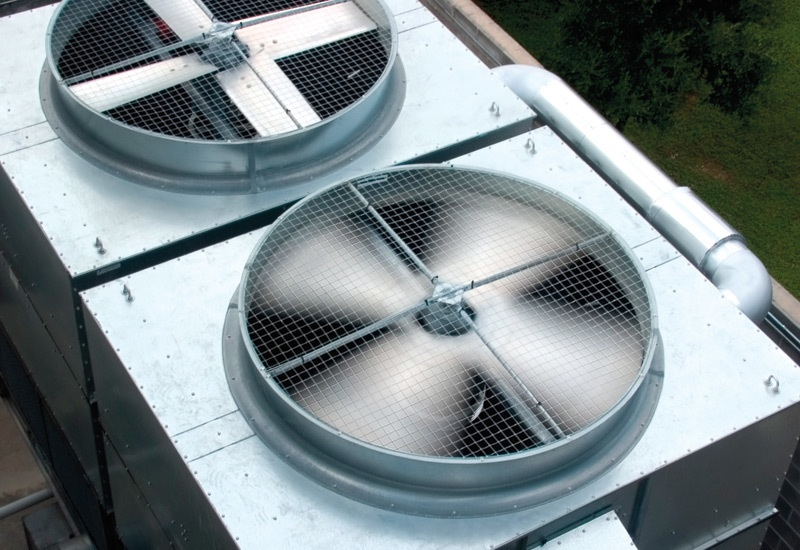 The commercial HVAC system in your commercial building is largely out of sight too, with components on the roof, in the basement, behind walls and in dusty mechanical rooms you rarely need to enter. They’re out of sight, and therefore out of mind. But, just like the parts on your car, and like any mechanical or electronic equipment, they’re wearing out, getting dirty, losing efficiency, and they can even suddenly break down. And, just like your car, when this happens it can cause a minor frustration or real disaster, depending on the circumstances. The temptation many commercial building owners and facility managers face is to take a wait-and-see approach to system maintenance. After all, a well-built HVAC system can sometimes go for years with little or no problem. Even after things start going wrong, they may seem minor: an odor tenants are complaining about, a slight rise in energy costs due to inefficiency. For the most part, the building is still warm in the winter and cool in the summer, so there’s no harm, right? Even more so than your car, your commercial HVAC system is a large investment. What’s more, you’re counting on that system to keep all your other physical assets — the building, the equipment, stored valuables, not to mention your employees and tenants — safe, secure, and comfortable. If you that equipment isn’t properly maintained, it’s not going to be able to fulfill that function for long. And, it could end up costing far more while it lasts due to inefficiencies. Finally, HVAC equipment that isn’t properly maintained could even lead to truly costly and dangerous conditions. Don’t let your HVAC system suffer neglect just because it’s “out of sight and out of mind.” Consider a comprehensive HVAC maintenance agreement with the certified commercial HVAC professionals at PSR Mechanical so we can keep your system running smoothly and efficiently for as long as possible. Then, you and your employees can enjoy a clean, comfortable, and productive work environment, and you can avoid disastrous outcomes. Learn more about our planned maintenance program or contact us to learn how we can protect your mechanical systems with preventative maintenance.